This past decade has seen a swell of what many would describe as 'non-traditional' working activity. 'Work' as a concept and a practice is experiencing a period of rapid transformation, as increasing numbers of people migrate away from the corporate experience - considered for so long by so many to be the pinnacle of professionalism - in pursuit of a more agile and more meaningful career in entrepreneurship, self-employment, flexible and remote working. Today, an estimated one third of the workforce is made up of these so-called ‘contingent’ workers. Whilst this non-traditional working culture is still in its infancy, and still only represents the minority of the working population, it is maturing at unprecedented speed. New infrastructure is being built every day, from cafés designed to double up as a communal workspace, to small and intimate home-like working spaces and large, multi-purpose workspaces holding thousands of people and hundreds of young companies, the new world of work has a vast and growing array of new homes. Whilst the scale, decor and atmosphere varies considerably between these co-working spaces, one thing remains constant: the tribe-like emphasis on community. The linchpin of any co-working space is the Community Manager, ordained with the task of creating a sense of connection not just between the space and its members, but between the members and themselves. For a co-working space that's home to a wide variety of people, companies and personalities, Community Managers are responsible for bonding their members to something more than a company motto. But why is community so important to the emerging world of work, who is building them and how are they doing it? And could these spaces and communities provide the foundations for a viable alternative career to those looking to escape from their cubicles? Read: Is the idea of a hub becoming redundant? 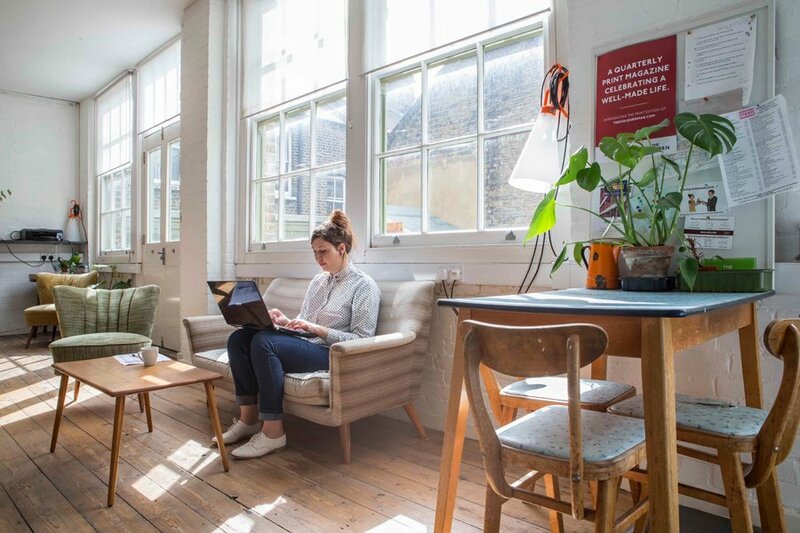 I spoke to Leo Wood, founder of Winkley Studios, Cooks Yard and PlayPen in east London, and Rebecca Collins, Community Manager of Huckletree in Clerkenwell, to get their take on how the new world of co-working hubs is changing work forever. Tucked away on Winkley Street between Hoxton and Cambridge Heath, Winkley Studios feels like a home away from home. As far co-working spaces go, Winkley is on the more intimate end of the scale. The space is calm and humming with activity, and is home to an array of businesses from local favourites Pip & Nut, to the UK arm of global blogger advertising community Nuffnang. As founder, community manager and pretty much everything in between, Leo believes that co-working spaces are solving the problem of worker isolation. "It’s a basic human need for us to build communities - whether that is as a family, neighbourhood, cultural or religious group or in the workplace. As more and more people have started to work freelance, on a self-employed basis and are starting new businesses themselves, they have become more isolated from the traditional workplace communities found in corporations and offices. Co-working spaces have been created to provide a work-based community for workers who would become more isolated otherwise". For Leo, the relationship between a space and its members is an important one to get right. Different spaces offer varying degrees of organised community activities, and it’s worth exploring what kind of environment you feel you would thrive in before committing to one space or another. "Some co-workers are really hungry for a very active community with loads of events and connection opportunities, whereas others really just want time working peacefully on their own in a nice space". Community Manager and co-working evangelist Rebecca Collins is well-regarded for her thought leadership on the value of co-working communities. For Rebecca, there is no end to the benefits of such spaces. Read: What makes a start-up hub successful? "From a business perspective, co-working offers much more financial flexibility than taking on your own office, which is a big concern for early stage companies who can't really commit to a long-term lease. But that's only really what triggered the movement, now the other benefits are starting to reach a wider audience - even some people who don't strictly need office space. This is because we're realising the benefit of a community, beyond simply being a professional network." Rebecca believes that the fastest way to achieve something is to surround yourself with people already doing it, and that the fastest way to do that is to put yourself where those people congregate. If building a working life on your own terms is an appealing idea, then co-working spaces might just be the missing piece of the puzzle. 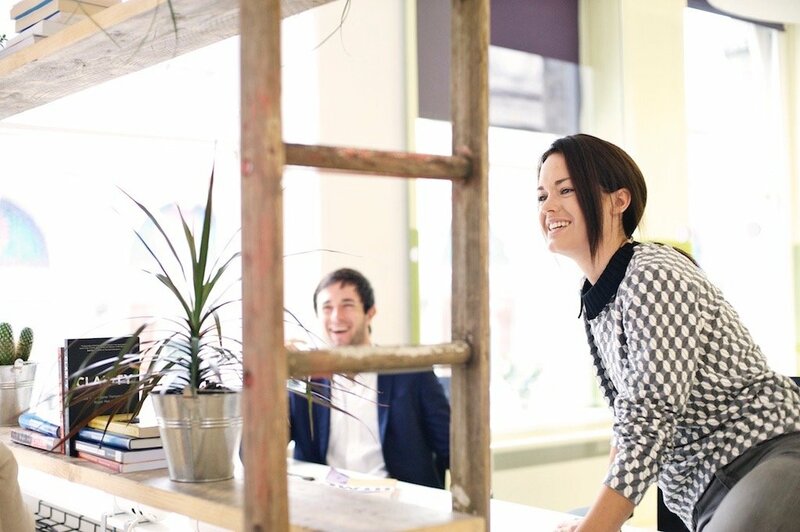 "Huckletree is a place where creating your own lifestyle is supported, even encouraged. It's also a great place to find the support of other people who share similar values to you. Entrepreneurship and living with purpose are already challenging pursuits, without the isolation that comes from not having a support network who understand you." "With the shift towards remote working and an ever-increasingly connected and mobile lifestyle, co-working gives individuals a chance to become part of a community, wherever they go. This is both a practical and a psychological advantage." The explosive growth of co-working spaces around the world is symptomatic of a global cultural trend that embraces new attitudes towards how, and where, we work. "We spend so much of our time at work, and now we're realising that we actually get to choose who we spend that time with, and where. We're really embracing not just work-life balance, but also the idea that it's all a lifestyle choice." It’s a trend that has skyrocketed American co-working space company WeWork to a $5 billion valuation in a little over five years. 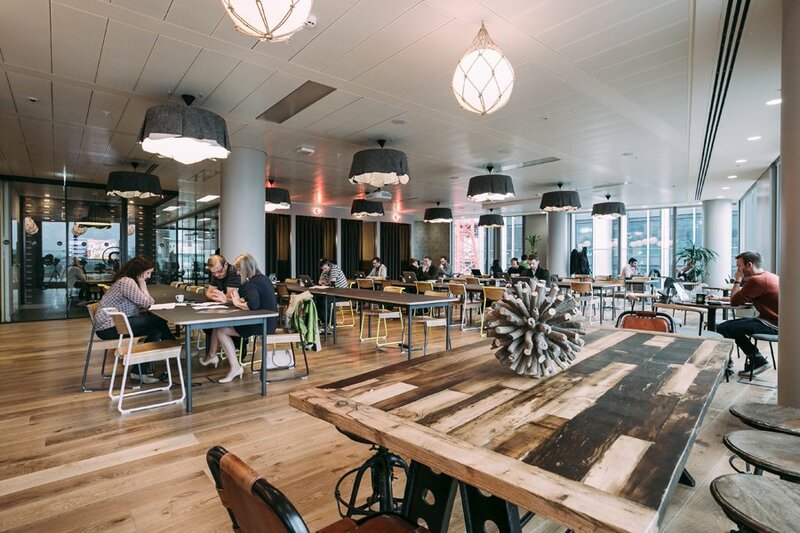 WeWork itself already has four locations in London, with plans for further expansion as the company anticipates a mainstream adoption of flexible co-working space. For Leo, spaces like WeWork leading the way will only have a positive impact on the co-working culture as a whole. "Co-working spaces will evolve at a more mainstream level, which should have a massively positive impact on the broader recognition of ‘co-working’ and flexible workspaces. This will become the norm even for larger companies and brands." As the culture becomes increasingly mainstream, it’s probable that you will find yourself in and around a co-working space in the not-so-distant future. But, if you feel ready to jump in, how should you go about exploring which space is right for you? According to Rebecca, nothing beats real life experience. "The best approach is taking a trial day, so you can see how it suits your work habits, how it affects your productivity levels, and how you like the people who are sitting around you." "If you're in a great space, you'll be able to get involved in (maybe even host) workshops, brainstorming sessions, demo days, pitch nights, office hours, yoga, and loads of food-related activities. You should feel comfortable to (and inspired by) talking to other members. Maybe you'll even work with some of them. If you've got a problem, like being stuck on a marketing message or frustrated chasing up a client invoice, again, you should feel like you have people to talk to, people who will understand. Ultimately, you want to find a co-working space where you can be yourself". 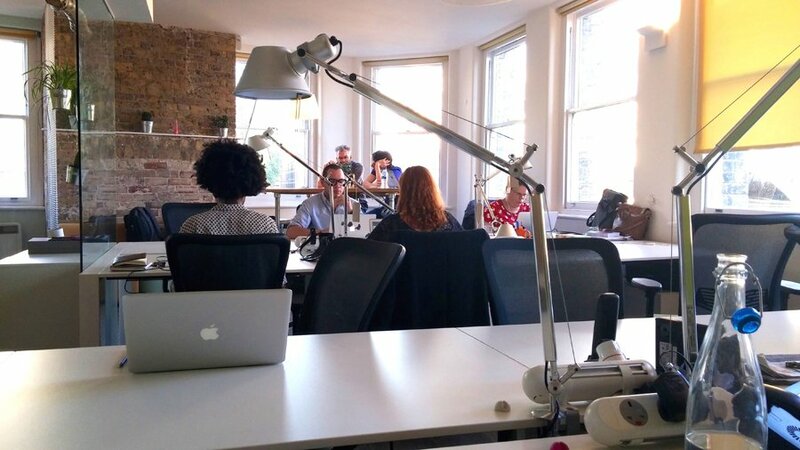 With the rise of co-working spaces, it’s clear that the days of leaving yourself at the door at 9am, and leaving the office with a yabba-dabba-doo at 5pm, are drawing to a close. Whilst co-working spaces themselves may not cushion the fall from the tightrope of corporate work, their communities just might.